Pitch : following a full facial transplant, a woman must to live a normal life and find out who she really is. Synopsis: Facially deformed, Mona has spent most her life as a recluse, living with her parents and only going out at night. Now in her thirties, she helplessly watches her few childhood friends enjoying normal lives with jobs and families. All this changes when doctors operate her and give her a full facial transplant. After a few months of reeducation, she has a perfectly functioning and quite beautiful face. Back home, her burning desire to make up for lost time and start a new life is only tempered by her insecurity. Natalie, her best friend, helps her to adapt, to go out into the world and to meet people. Mona meets Leon, a 40-year-old divorcee who quickly takes to her and helps her discover a different lifestyle. Together, they nurture her desire for painting and seek comfort in cultivating marijuana. 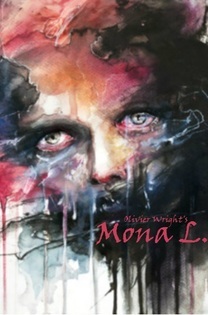 Wishing to forget her past, Mona does not reveal the truth about her face, and little by little, as her romance with Leon grows, so does her self-confidence. However, she quickly becomes an object of desire for Fred, Natalie’s husband, who uses his influence as a police officer to blackmail her into fulfilling his fantasies. After years of darkness and isolation, Mona suddenly becomes the center of attention and is therefore required to assert herself personally in order to defend herself and those she loves. In doing so, she will discover that she is not the only one with secrets and will have to decide who she really is, and ultimately who she wants to become.